Financed by the members of New Order, Hacienda and its stage initially felt greatness in the form of legendary performers like the Smiths, Echo & the Bunnymen, and Madonna. But the club became especially remarkable during the "Madchester" (late '80s to early '90s) years of music that ushered in the sound of acid house (which birthed rave culture). The interior's industrial aesthetic and black and yellow stripes didn't do much to encourage safety dancing. Party drug use became rampant, and the club lost a good amount of money on would-be alcohol sales. 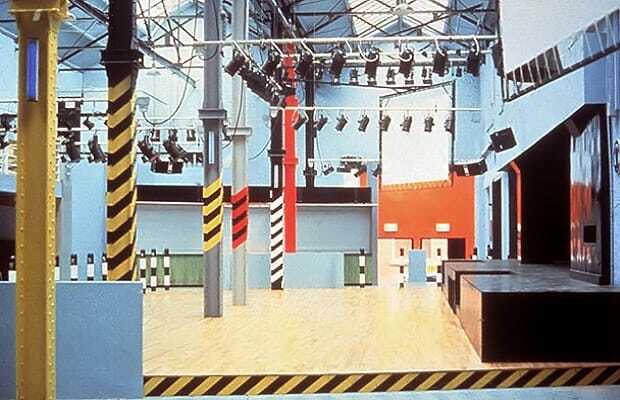 The venue ultimately closed due to financial troubles, but those who went on to purchase one of the Hacienda Flats (into which the club was later converted) can enjoy the fact that they're literally sitting on a piece of music history.